Saturday evening a Mbawula (brazier), session was held at the Wits Junction where those in attendance were treated to an evening of Jazz and poetry. An “imbawula” is an old African practice of sitting around a fireplace usually to sing or hear stories narrated by the elderly. The event was hosted by the Junction house committee in partnership with Black Thought Symposium and iPhupho l’kaBiko. 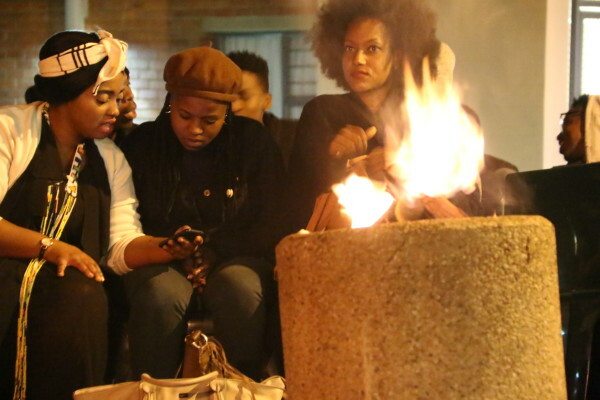 In an interview with Wits Vuvuzela , Wits Junction chairperson, Mookameli Moeketsi (MK) , described the event as an opportunity for black people to gather around the fireplace and listen to poetry and African music. MK further added that this was an opportunity to change the stereotype often associated with the residence described as being white and bourgeoisie. “There are blacks who live on this residence and it is important that they practice their cultures. Next time I think we should slaughter a goat and have Umqombothi (traditional African beer) and do our rituals as black people”, he added. Makhafula Vilakazi, a poet who performed , Let God judge the Criminals, a poem depicting the story of a black child in the township who he described as being acquainted with the skill of using a knife, before learning his or her ABCs, a reference to a black reality of living in a township as a result of their socioeconomic status. The poem Makhafula described as being an “articulation of black pain and black reality” where crime becomes your viable option out of poverty. Asandiswa George and Viwo Kulati vocalists from Black Thought Music said this was an opportunity to celebrate black culture through music and poetry. 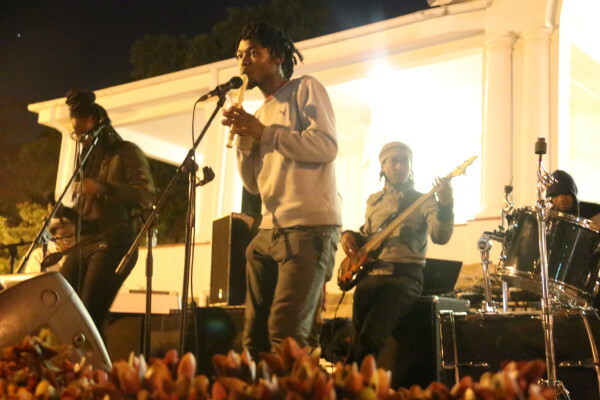 Speaking to Wits Vuvuzela IPhupho l’kaBiko lead singer , Nhlanhla Nqagqu, said the jazz session was a reference to an ongoing movement and a lead up to an exhibition about Ingoma Yomzabalazo (Song as Struggle and Resistance) that will be held at Keleketla in Maboneng May 12. Yamkela Gola audience member said the evening was refreshing and provided the opportunity to get closer with our ‘Africanness’. “We come from the bhundus (rural areas) in the Eastern cape and you get to Joburg and there is whiteness all over. The session was refreshing I could relate to the people in attendance and the songs that were sung. I really hope that the movement will continue across all campuses in SA.